If you scan the report there’s some interesting data about who is at greatest risk. Perhaps not terribly surprising, the statistics are highly skewed towards male workers, over the age of 45, born in Central America (mostly Mexico) or Asia, who most frequently died from roadway or transportation related injuries, or from falling from heights. These sobering statistics are not pretty to look at, by any means. But it did get us wondering about how jobs we traditionally thought of as dangerous—logging, mining, energy extraction, skyscraper construction, etc.—compare with jobs we think of as being completely safe, working at a computer in an office all day? Several other government agencies, including the Centers for Disease Control, have recently published data on the health of Americans. The shocking statistics on adult obesity boil down to this (2012 data): 69% of Americans are either overweight, obese, or morbidly obese. Fifty-four percent are either diabetic or pre-diabetic. Pre-diabetic, by the way, is an unfortunate misnomer; while these individuals do not yet have full-blown diabetes their bodies are already insulin resistant. Stitch all this together with the data in the book from Mayo Clinic’s own Dr. James Levine, Get Up! Why Your Chair is Killing You and What You Can Do About It, and we know that there are now over 100 million American office workers with sedentary jobs, while health care costs in the developed world continue to soar due to the cost of chronic disease management. We know that “sitting disease” leads to metabolic syndrome and diabetes. And we also know, based on numerous scientific research studies, that sitting disease leads to an increased risk of cancer. In fact, according to Mayo Clinic, you can extend your life expectancy by two years just by cutting out three hours of television viewing time per day. The fact is that most dangerous jobs are very active jobs. There are many health benefits to working up a tree or utility pole that are lost when we have to sit through endless meetings, and spend hours staring at a computer screen while munching carb-laden foods and downing cup after cup of caffeinated beverages to keep ourselves awake and functioning. We’d love to see some agency or research institution with the analytical capabilities actually crunch the numbers and correlate the risk of dying on the job between the occupations we’ve traditionally thought of as dangerous, and those that we previously believed were completely innocuous. But you can connect the dots for yourself, millions of workers in the developed world, having been sentenced to the chair, are dying a little faster every day. Not all fatal injuries come in a single blow. Some take years to manifest but are equally deadly. What can you do to beat the statistics? Start working at a stand up desk, sit stand riser, or treadmill desk. 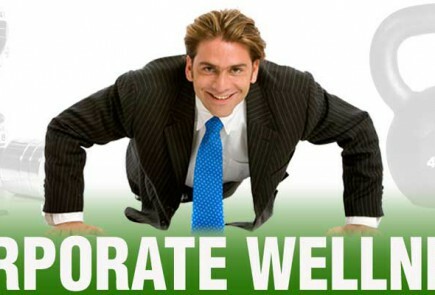 Employers: Do You Have Corporate Wellness Slush Fund Dollars to Use Up?